Keep your car clean and looking its best! 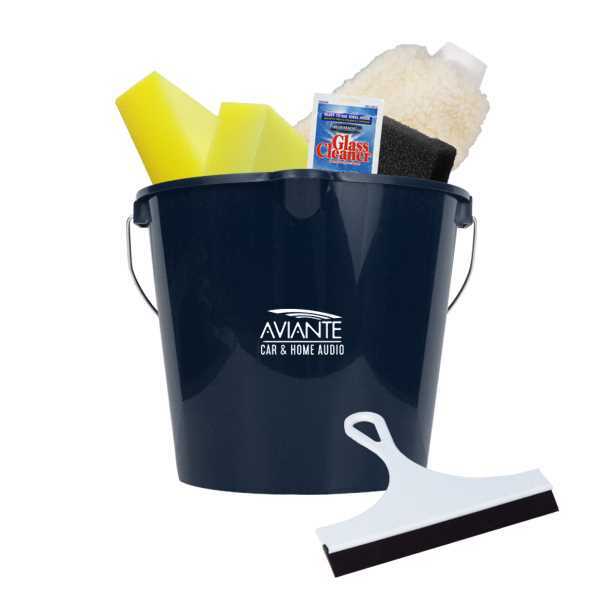 This car wash kit includes a 7 quart bucket, 2 sponges, a scrubber sponge, a wash and buff mitt, a window squeegee, and 1 oz. Turtle Wax /R/ cleaner. Use this excellent set to promote races, car dealerships, and repair services. Bucket measures 8 1/4 inch. H x 9 1/2 inch. in diameter . This product is union made in the USA. Size: 9.5 " x 9.5 " x 8.25 "
Imprint Size:2 3/4" x 2 1/4"
Ship Weight:18 lbs, Please contact us for shipping estimates for orders over 200 pounds.